The “Sorkinization” of American politics; a cultural phenomenon engendered by the works of Hollywood director Aaron Sorkin -- in which Washingtonian politics is romanticized as some grandiose theatrical production, in which the protagonist (normally a liberal archetype) wins against his unscrupulous foe (usually a conservative stereotype) by simply giving a rousing speech or clever rhetorical foil. You see it everywhere in Washington, D.C. -- beltway pundits breathlessly waiting to share together in that idyllic “Sorkin moment”; whether it was Hillary’s hoped-for victory speech last November or, now, waiting for Special Counsel Robert Mueller astride his white horse to out the “evil Trump clan” for sins and improprieties. This, of course, is all a Hollywood fairytale. What currently is taking place under Mueller’s direction resembles not so much a magnanimous crusade for truth and justice; but rather another example of what happens when bureaucrats are taken off the leash. It becomes the classic tale of a government lawyer in search of a crime. Though likely a disappointment to all the partisan spectators wishing for a clear moral victory from Mueller, the sweeping, unspecified, and costly nature of his investigation has all the hallmarks of a typical prosecutorial fishing expedition. 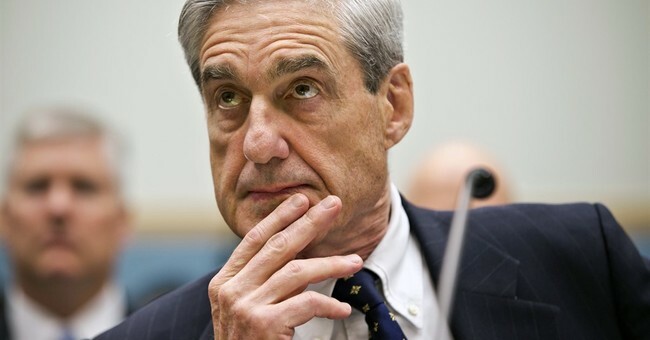 Rather than setting specific parameters for his investigation, or having them set for him, the order appointing Mueller, by Deputy Attorney General Rod Rosenstein grants Mueller almost limitless leeway in his probe, be it relative to “any links and/or coordination between the Russian government and individuals associated” with President Trump’s presidential campaign (which likely would not constitute a crime), to federal regulations that relate to crimes that are among the most subjective, such as obstruction of justice and witness intimidation. As one might expect, Mueller has taken the ball handed to him, and is off and running; like Diogenes with his lamp in search of an honest man, but here a prosecutor with a subpoena in search of a guilty man. Not bound by any real budget constraints, Mueller already has begun building an investigatory army with which to haunt the Trump Administration for as long as he wants; or, at least, for as much time as it takes to find something to prosecute. That Mueller will find something is a virtual certainty given the vast scope of his appointment, and the lack of oversight by the Department of Justice now that Attorney General Jeff Sessions hastily (and, in my opinion, needlessly) recused himself. And, as any criminal defense lawyer knows, given the reach of federal criminal laws, if you look long enough and subpoena enough witnesses and documents, you are fairly guaranteed to find some violation of some law to pin on some person. So, what is the point to all these theatrics? Same as it always is in Washington. Personal and partisan aggrandizement for bureaucrats, at a massive cost to the rest of us. Mueller gets his name in the spotlight for kicking-up a lot of dust. Democrats claim a moral victory for forcing the appointment of a special prosecutor. And Republicans dodge a bullet for Trump’s poor personnel choices. At the end of all this (if there is an end), America will be left a little more divided (if that is possible), and the Bill of Rights even weaker than today. If we were living in the “West Wing,” it wouldn’t really matter; but we are not living in Sorkin World. We are living in the real world; where government power run amok has very real and damaging effect on the way of life envisioned by our Founding Fathers and as enshrined in the United States Constitution.